Stretch out in style on Aidian. 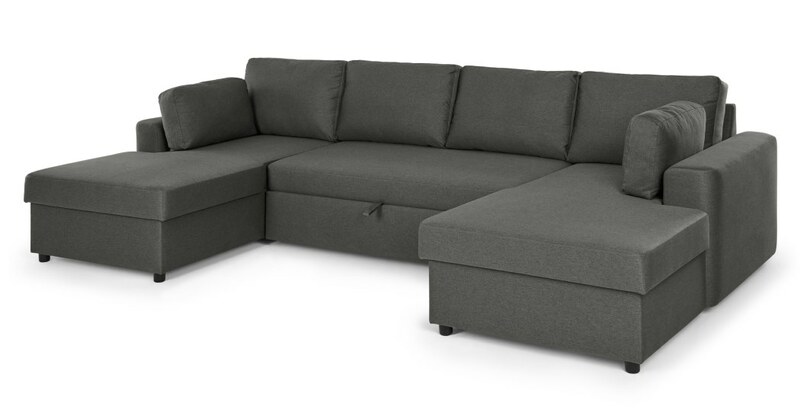 This Modern European corner sofa puts leg room squabbles to rest thanks to its roomy double-chaise design. Plus, when you're feeling social, there's more space for your guests. If you're short on space Aidian is a smart investment. This comfy corner style doubles up as a sofa bed that sleeps two, so it’s perfect if you have unexpected guests. And the best bit? How easy it is to pull out. Minimum effort required. If the modern silhouette and sofa bed option weren’t enough to turn your head, Aidian also boasts hidden storage. Lift the chaises to tuck away guest bedding and any other bits that you’d rather keep hidden.